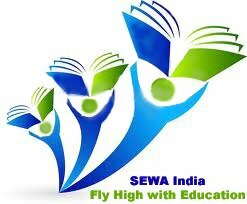 The SMART EDUCATION & WELFARE ASSOCIATION® (SEWA) is registered under the Indian Societies Registration Act of 1860. SEWA was founded on 2nd December 2009 by a national media excellence award winning television journalist and social activist, Mr. Parvez Sagar. The idea behind the foundation was to make people from weaker sections of society aware of their basic rights, so as to empower them in securing their due share of the resources powering their country. This foundation is committed to strengthening the weaker socio-economic class by educating them and providing proper health services in their local areas. Presently, the funds for running this organization come from informal contributions made by way of its members and a few supporters. Its office is located at Hasan Colony, Old Kalsiya Road, Saharanpur (UP). In addition to providing health and education services, essential aspects related to the environment, child rights, women’s empowerment, vocational training, education for special children, and social services including a cloth and a book bank, etc are also integral parts of SEWA’s working philosophy. It has been continuously working and rendering its help and support without any government funding.